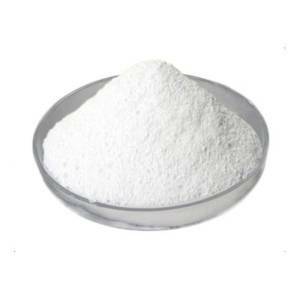 Ascorbic acid, also called vitamin C or L-ascorbic acid, is widely used in pharmaceutical, cosmetic, food and beverage industries. The supply and demand of it usually doesn’t change with seasons. The global annual consumption of ascorbic acid is around 120,000 metric tons. The major ingredient in ascorbic acid manufacturing are gulonic acid and sorbitol. Sorbitol is mostly come from corns and usually with unsophisticated processing techniques, therefore it is a low threshold industry. Besides DSM in Scotland, other five global major suppliers, Shijiazhuang CSPC, Northeast Pharm, North China Pharmaceutical, Jiangsu Jiangshan Pharm and Shangdong Luwei Pharm, are based in China. DSM acquired Jiangshan Pharm in 2015 with additional 20,000 metric tons capacity, and it became the largest supplier of ascorbic acid in the world. During 2005 to 2010, the manufacturing capacity in China had a fast increase and could meet the global demand. Currently, the global ascorbic acid is overcapacity. The biggest consumer of this food additive is food and beverage industry, which counted about 48%; cosmetics and pharmaceutical industry count about 35% of the total demand, while fertilizer is about 15%. The manufacturing of DSM is 50,000 metric tons per year; Shijiazhuang CSPC is about 35,000 metric tons; Shangdong Luwei Pharm could supply 30,000 metric tons per year; Northeast Pharm is around 25,000 metric tons; North China Pharmaceutical is 20,000 metric tons; while the total capacity of suppliers in the rest of the countries and areas is a little bit over 50,000 metric tons. During January to October in 2016, Chinese ascorbic acid powder tablet market quote was around 30 RMB per kilogram, powder was a little bit under; the prices have increased since November and the prices of tablet and powder were about 70 RMB per kilogram at the end of May 2017. Recent years, the average price for export was keep dropping until the end of 2016, however, the total export volume was climbing. Please follow OKCHEM.COM for more information about ascorbic acid and other chemical raw materials.